The Duet has locking flip up armrests and a flip down footrest to aid the user while the Duet is used in the transport chair mode. A safety lock release is used to store the arms and a Velcro strap is used to store the footrest while using the Duet for ambulation. 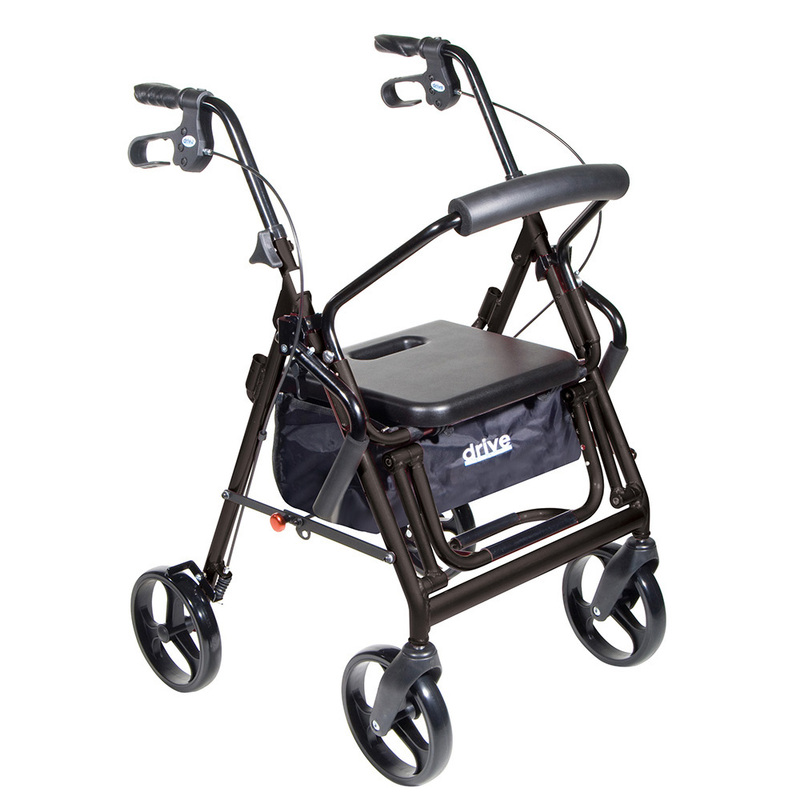 8 inch casters are used for indoor and outdoor use.Handles are adjustable in height.Limited Lifetime Warranty.